Baton Rouge has a self-esteem problem. At least, that’s what Renee Chatelain, president and CEO of the Arts Council, says. In the past, it has been difficult for the Capital City to find its cultural identity, seemingly living in the shadow of New Orleans. The Ebb & Flow Festival is trying to change this perception. What originally began in 2017 as a two-day art and music festival is now transforming into an entire season embracing culture, art and innovation in the Red Stick. The Ebb & Flow Festival season spans March and April, encompassing many local festivals put on by other groups. Events like this month’s Third Street Songwriters Festival and the Baton Rouge Blues Festival fill both the streets of the city and plenty of springtime weekends. And right in the middle is the Ebb & Flow Festival itself, a two-day event sprawling across the downtown area and showcasing Baton Rouge’s varied arts scene. Since its beginnings, the festival has always tried to set Baton Rouge apart. In its first year, it celebrated water ecology and the city’s location along the Mississippi River. In its sophomore year, the festival emphasized Baton Rouge’s global reach, tying the event to the Amazon and South American culture. But in its third year, the Arts Council staff has realized the essence of Baton Rouge lies right within the city. It’s this connection that has seemingly led Ebb & Flow to partner with other local events, with the Arts Council helping to promote them all under one large umbrella. For the Arts Council team, meeting that goal has meant a lot of time spent ensuring the Ebb & Flow Festival includes all aspects of the Baton Rouge arts scene. Spanning the entire downtown area, guests can enjoy live art creation, musical performances, arts markets, kid-friendly areas for children to get their creative juices flowing, poetry readings and much more. The festival will also serve as the debut of the Baton Rouge heART trail, a semi-permanent walking trail through downtown with art installations and mixed-media displays along the way that will remain after the festival is over. 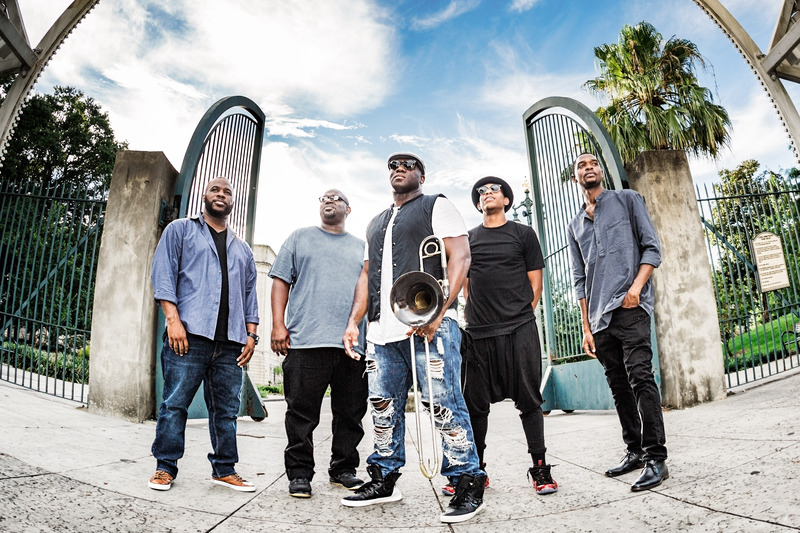 Big Sam’s Funky Nation will perform at the Crest Stage during Ebb & Flow. The council hopes to prove that through this showcase of art, music, innovation and culture, Baton Rouge is an enticing choice for businesses and permanent residents. And maybe, just maybe, showcasing our culture can solve that little self-esteem issue the council has been working so hard to resolve. There are many new and exciting features debuting at this year’s Ebb & Flow Festival, April 6-7. Here’s a sneak peek. art battles set for the weekend. Artists from Les Jeunes Artistes de Louisiane will battle it out on Saturday, while Sunday will host a Corporate Art Battle, where local businesses can get their creative juices flowing in an audience-judged competition. An Artist’s Aisle in front of the Shaw Center on Lafayette Street will host plenty of vendors to check out. Many awesome performances are scheduled for this area on Lafayette Street in front of the Shaw Center, including Red Magnolia Theatre Company, Of Moving Colors, Baton Rouge Ballet Theatre and poetry workshops. The IDEA Stage stands for Inspire, Design, Engineer and Act. This area in North Boulevard Town Square will focus on big ideas that are enhancing the community. The Young Entrepreneur’s Academy will host a trade show presenting its ideas on Saturday, as well as other local organizations talking about their successes throughout the weekend. For the younger attendees, Repentance Park will provide a variety of activities, including a Ninja Warrior course by GymFitBR, interactive art activities by Knock Knock Museum and book mobiles from local libraries. Head to Galvez Plaza for performances all weekend from Amanda Shaw, Big Sam’s Funky Nation, CJ Solar, Baton Rouge Music Studios, Flamenco Rouge, Opera Louisiane, School of Rock and more. The Third Street Songwriters Festival is partnering with Ebb & Flow this year to provide music throughout the weekend. Take a walk down Third Street and duck into venues from Florida Street to North Boulevard to see performances all day and night. 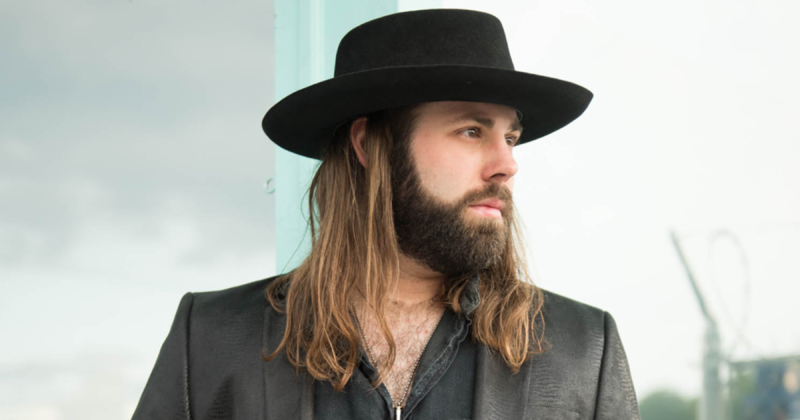 Artists such as Jeffrey Steele, CJ Solar and Blake Griffith will perform. See the full schedule at thirdstreetsongwritersfestival.com. After more than six years of showcasing local films and filmmakers, the Louisiana International Film Festival’s board of directors decided to call it quits due to lack of funding, festival director Elliott Estelle says. This year’s seventh film festival was scheduled for this month before organizers canceled it in March. Now, the film festival is collaborating with the Arts Council to show select films at the Ebb & Flow Festival. Five feature films and several shorts will be chosen from the original 200 film submissions to be shown at participating venues downtown during the festival, Estelle says. Plans for the screenings were still being finalized at press time. Find more information on Ebb & Flow’s website, ebbandflowbr.org.